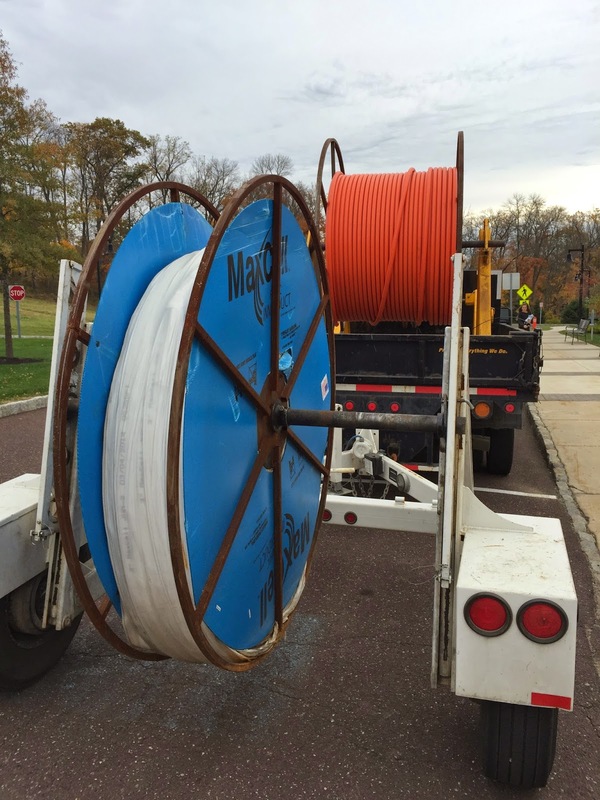 Getting ready to lay new fiber optic cable is an exciting moment for a director of technology. We already had a 200 Mbps pipe from our main provider, Chesconet. 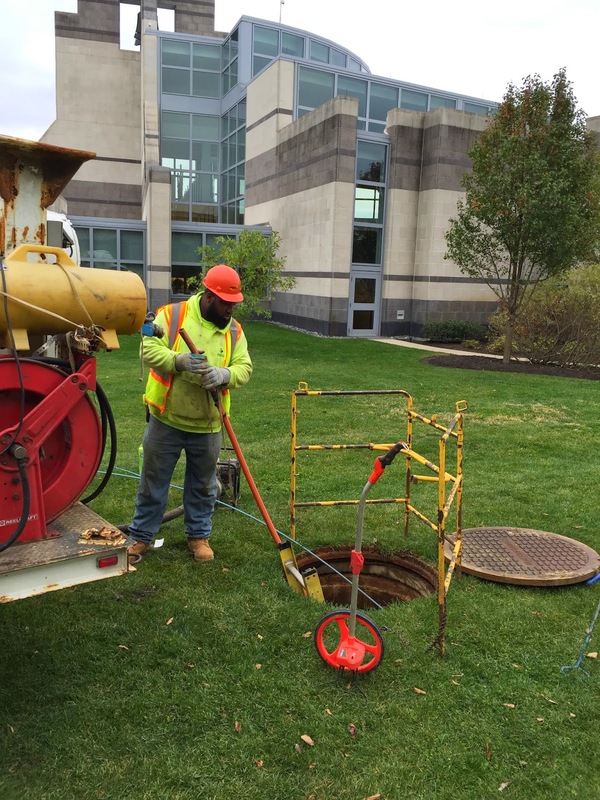 The fiber runs down from Route 252 several hundred yards, through three separate man holes and into our demarcation closet. That's a tag that warms the heart of technophiles everywhere. But we have found that one internet connection isn't enough. We want some redundancy. And we chose Digital Speed, another internet service provider, to be our backup. When we built Episcopal's new Campus in Newtown Square in 2008, Digital Speed got the contract to provide us with our voice communications. Digital Speed ordered Verizon to run copper pairs from Route 252 to our demarc room. Since then the copper cable has degraded and we have had to "switch pairs" which means that the telephone repairman keeps trying different strands of copper inside the big, braided cable until he gets two that are working. Very primitive. 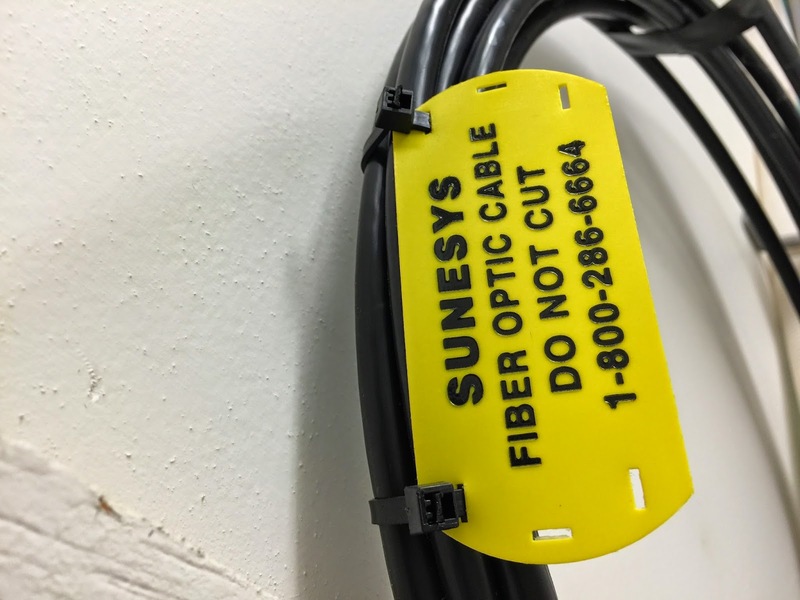 With new technology that is available today, we will retire that corroding, copper cable and run all of our voice transmissions through fiber. And there will still be some room for as much data transmission as we are willing to buy. If Chesconet has problems with its switching equipment, we will be able to get to the internet through Digital Speed. Our internet routers will have "BGP", "Border Gateway Protocol" enabled so that they can find all the routes they need to get anywhere in the world regardless of which cable they go through. The first step is to pull the sleeve, through which the fiber optic cable will subsequently run. Verizon subcontracts with another group to pull the sleeve, a group that knows nothing about fiber, the internet, or phone service. Pull sleeve and leave. We got the white stuff: "Maxcell". It's a sleeve, not a tube like the orange stuff. Very slippery. A little persuasion was needed at this hole. He's running a snake. Sleeve comes out through the conduit here in the demarc room. 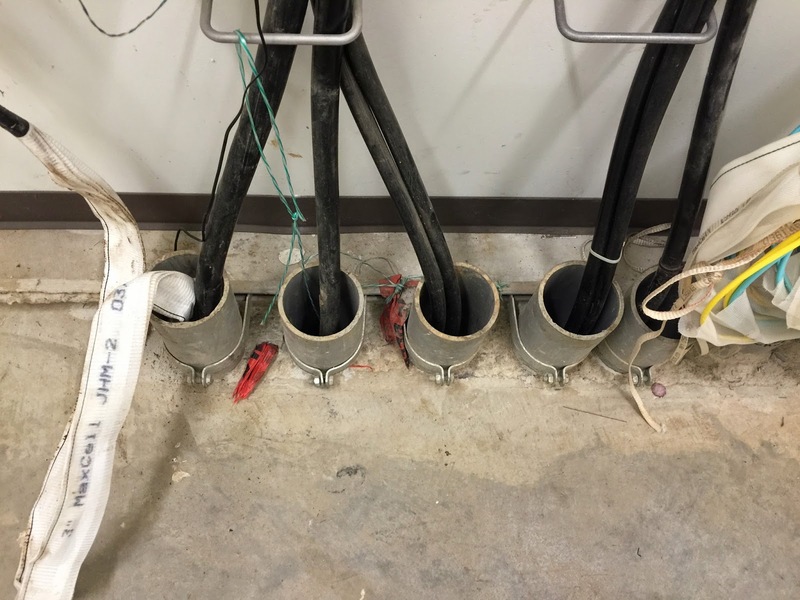 Other conduits lead to other buildings. In an age when many of us have fast internet at home, this may seem like a lot of fuss. But consumer bandwidth is nothing like what you get at a school, a university or a big business. Our providers define a minimum speed for 99% of our usage in what is called a "Service Level Agreement." If you read the advertisements for home internet through Verizon, Comcast or others, the wording usually reads "speeds up to..." but there is no mention of what you might actually get from day to day. Nobody really cares as long as they have access and they don't have to wait to stream movies. But when you have 1,500 people on your network using that pipe to the internet, you're going to need a completely different kind of connection.